Mister B is producing some fabulous coloured suri alpaca. 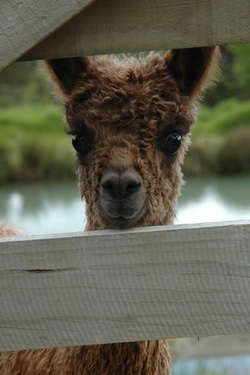 Just look at the gorgeous brown alpacas shown here. We have used Mister B over our best coloured dams and the results are amazing. 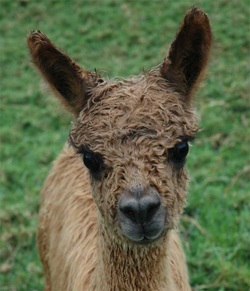 The cria all have perfect conformation and have beautiful lustrous fleeces. We can't wait to get them into the show ring. We will be offering a limited number of coloured females from Mister B for sale in November. Be sure to watch this space. 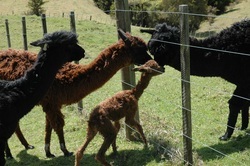 Mister B is not normally offered for outside matings but if you enter suri alpaca into the Whangarei Show you will automatically be entered into a draw to win a mating with Mister B. The more entries you put in the more likely you are to win.